As we now stock various carabiners with captive bar / pin we thought it would be worth giving guidance on the correct fitting of the pin. 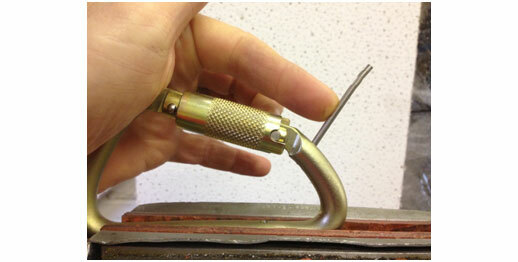 Start to hammer the pin in (you will note it comes up short), as the pin reaches the back bar of the karabiner, use two fingers to pull the tip of the pin towards the hole, then keep hammering until it slots into the hole. We have updated our arborist product details to include some information on how to use throwbags, throwlines and rope launchers to get a rope up into a tree. 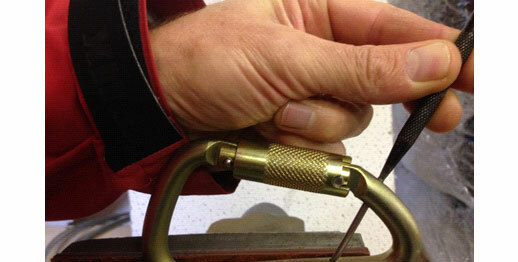 This includes a helpful YouTube video showing how to use a Cambium Saver / Treesbee False Crotch. Once the rope is up you then have the choice of using the traditional single rope tree climbing technique using either prussiks / hitch climber / Petzl Zigzag, or the more mechanically based dual ‘rope access’ type technique using hand ascenders, chest ascenders and a back-up device on a second rope.